Researchers at the University of Bath suggest developments in 3D printing techniques could open the door to the advancement of membrane capabilities. (L-R) Dr Darrell Patterson; Research Associates, Yen Chua & Nicholas Low; and Professor Davide Mattia. This work is part of the University’s Centre for Advanced Separations Engineering (CASE) and is the first time the properties of different 3D printing techniques available to membrane fabrication have been assessed. Membranes are a semi-permeable selective barrier that separate the molecules in a mixture within a gas or liquid into two streams, a key example of this being the separation of salt from water for desalination using reverse osmosis membranes. 3D printing, otherwise known as Additive Manufacturing, has the ability to create almost any geometrically complex shape or feature in a range of materials across different scales. It has applications in various areas including medicine, art, manufacturing and engineering. However, its use in separation membrane engineering is relatively new. Membranes are currently restricted mainly to tubular/hollow fibre and flat surface configurations due to the limitations of current manufacturing processes. As a result, the precision of present membranes are limited in successfully separating certain properties. The use of 3D printing techniques offers novel membrane preparation techniques that are able to produce membranes of different shapes, types and designs, which can be more precisely designed, fabricated and controlled than any other membrane fabrication method currently available. 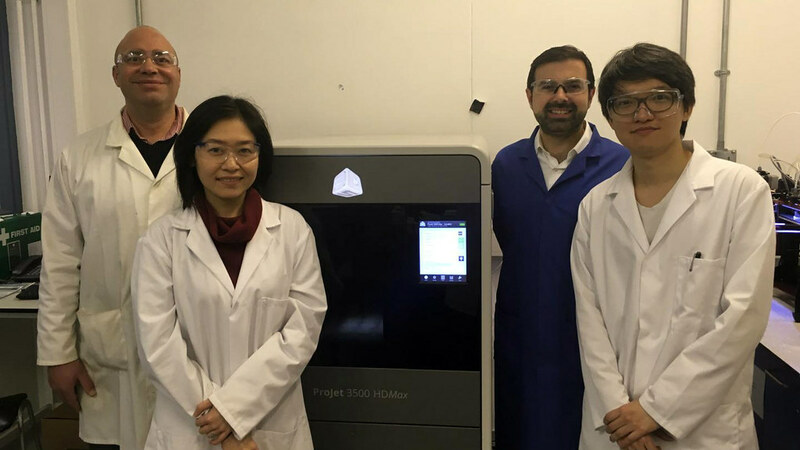 The paper, which evaluates existing knowledge of the advantages and drawbacks of different 3D printing methods as well as the potential developments of membrane fabrication, identifies a bright future in which 3D printing will enable innovative and far more accurate membranes. These potential increased capabilities could have significant implications for a number of key industries, including the water industry. New membranes with designer pores and surface shapes that enhance micro-mixing and shear flow across the membrane surface could be used to reduce the energy and down-time associated with cleaning blockages and fouling of the membranes. Director of the Centre for Advanced Separations Engineering at the University of Bath, Dr Darrell Patterson, commented: “This review is the first to explore the possibility and challenges of using 3D printing for producing separation membranes. Up to 15 per cent of energy used globally is from the separation and purification of industrial products such as gases, fine chemicals and fresh water. Separation processes also account for 40 to 70 per cent of industry capital and operating costs. Membrane technology potentially offers lower energy, more sustainable molecular separations that can be applied to a wide range of gas and liquid separations. It is therefore a key technology that could be used to help decrease the carbon footprint and costs within industry. CASE is based in the University’s Department of Chemical Engineering and is the largest academic grouping in the UK focused on advancing fundamental and applied scientific, and technological developments in separation. Its research covers membranes materials and processes; adsorption and porous materials; and liquid extractions. This work was supported by Programme Grant EP/M01486X/1 (SynFabFun) funded by the Engineering and Physical Sciences Research Council (EPSRC) UK. Sadly, our dear friend and colleague Dr Darrell Alec Paterson passed away on 19 February 2017, please see http://www.bath.ac.uk/announcements/death-of-dr-darrell-patterson-chemical-engineering. Professor Tim Mays, Head of Department of Chemical Engineering.